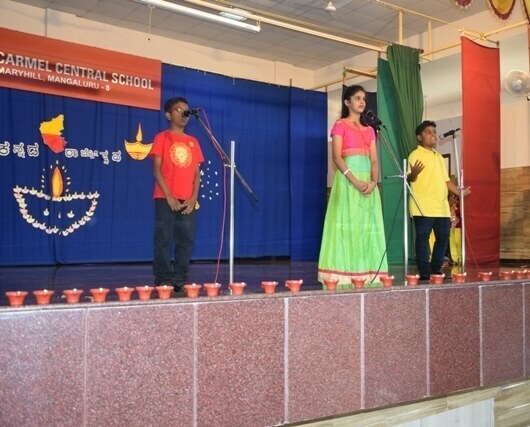 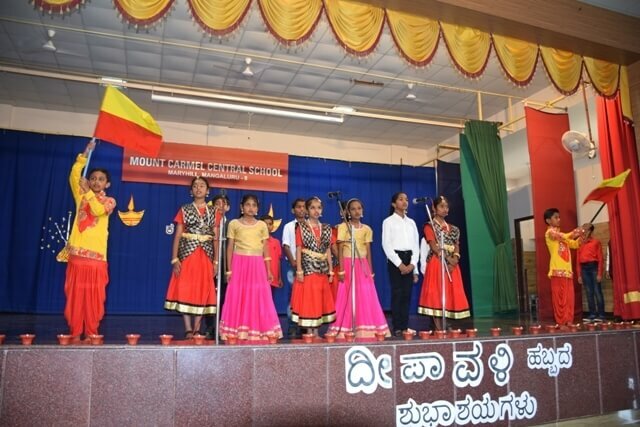 Kannada Rajyotsava – the “Kannada Formation Day” and Diwali were celebrated together with much pride and prolific manner by class II D and E for the Primary section and by V C and D for the Secondary section. 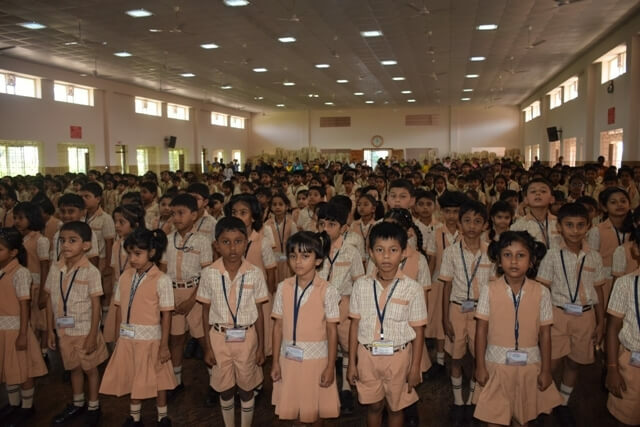 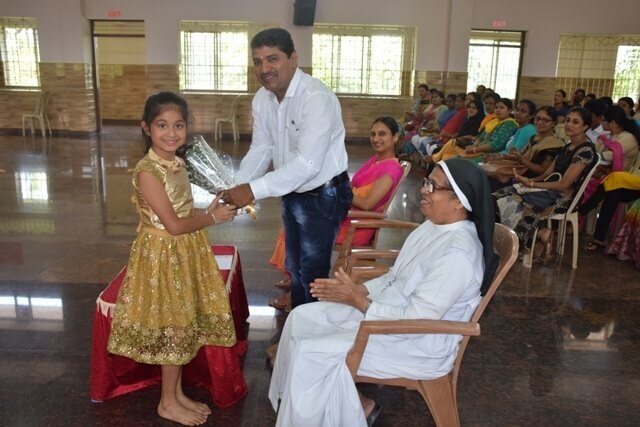 The programme started with a devotional vibe with a prayer dance followed by a welcome speech and a floral accord to the chief guest Mr. Gunakara Kotian, a parent of our school. 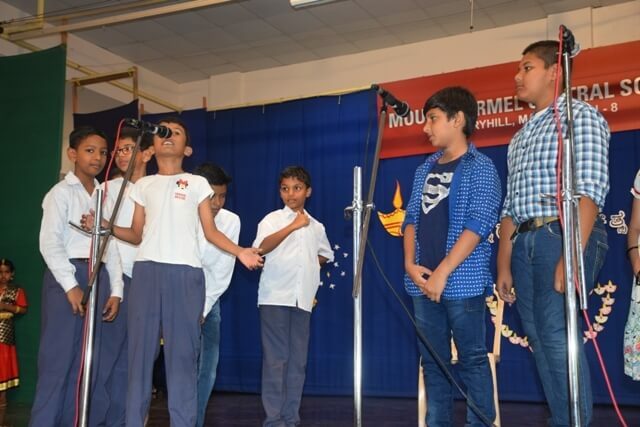 The students showcased an accomplished presentation on Obavva – a woman who fought the forces of Hyder Ali single handedly. 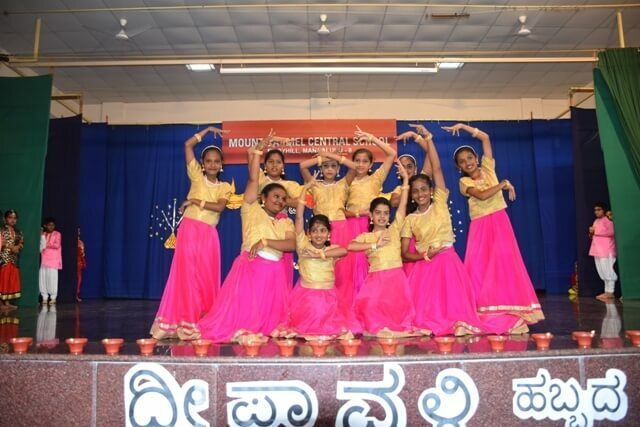 She was celebrated along with Abbakka Rani, Keladi Chennamma and Kitturu Rani Chennamma as the foremost women warriors and patriots through an emotional dance which elicited a spirit of patriotism among the audience. 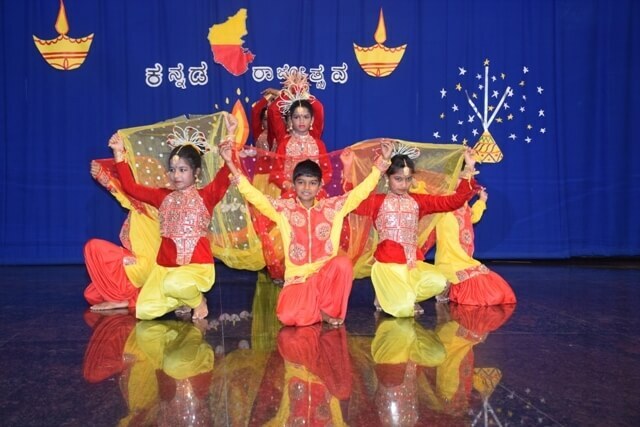 Together with the celebration of Kannada Rajyotsava, the most awaited festival of lights – Diwali too was celebrated. 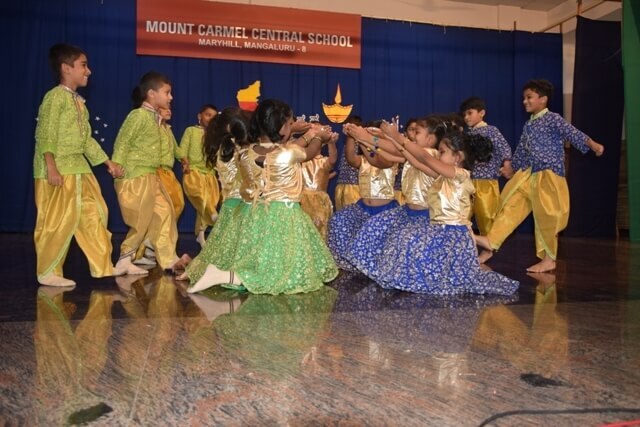 The victory of Lord Rama, over the demon Ravana and his return to his people in Ayodhya, after 4 years of exile which signified the victory of good over evil. 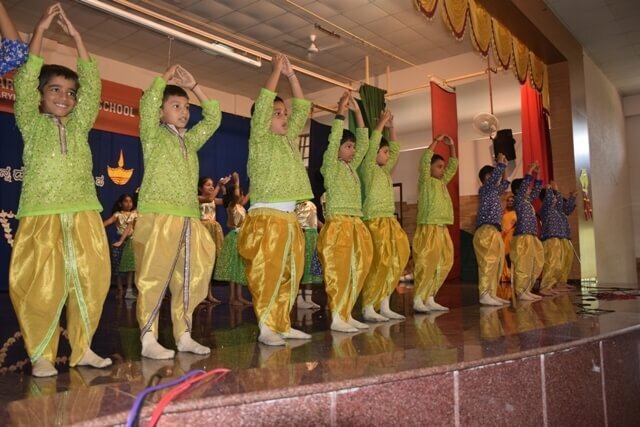 The South Indians celebrate Diwali as the day in which Lord Krishna defeated the demon – Narakashura. 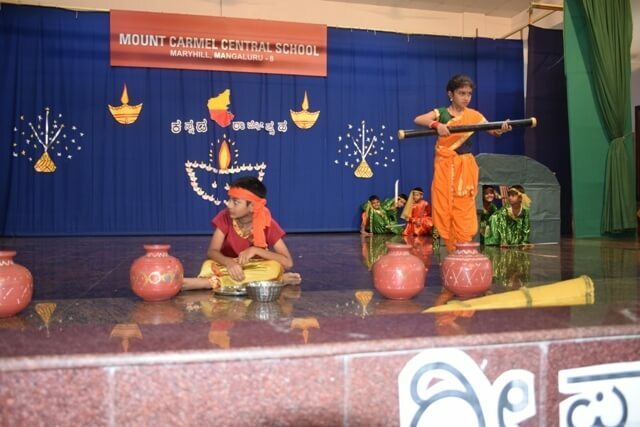 People light lamps outside their homes to welcome the goddess- Laxmi Devi, the goddess of wealth and prosperity. 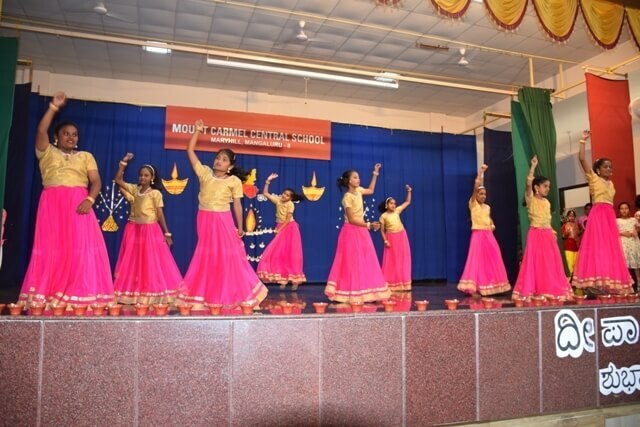 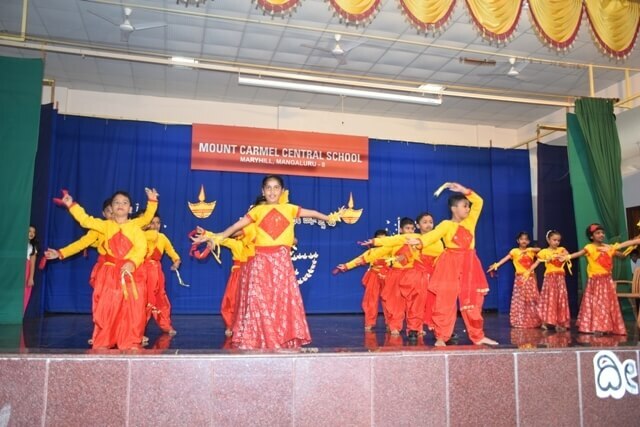 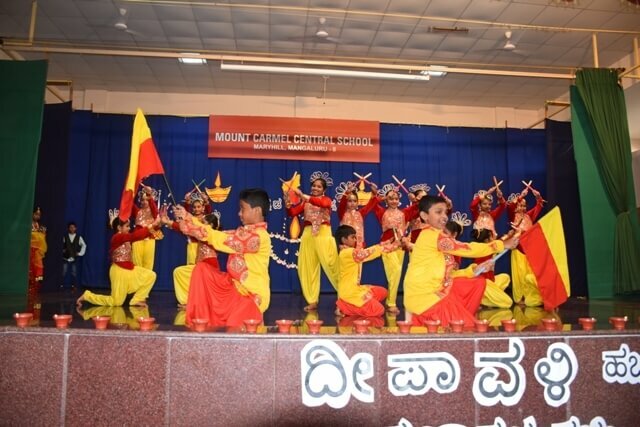 The students presented a meaningful celebration dance to bring out this significance. 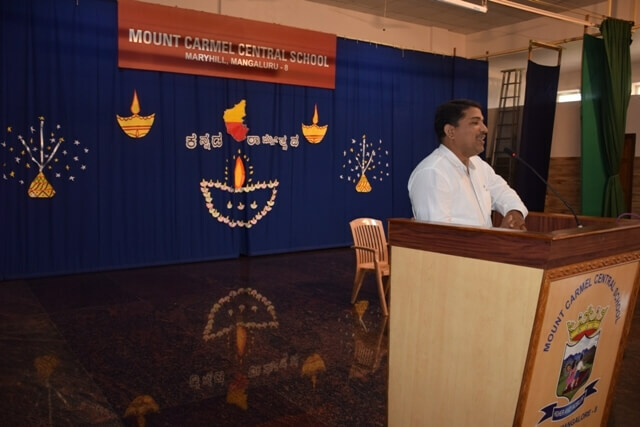 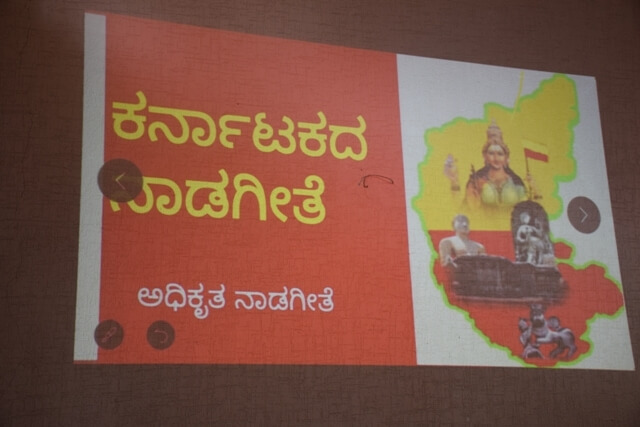 The chief guest Mr. Gunakara kotian addressed the students briefing them about the famous poets of Karnataka and their contribution to Kannada literature. 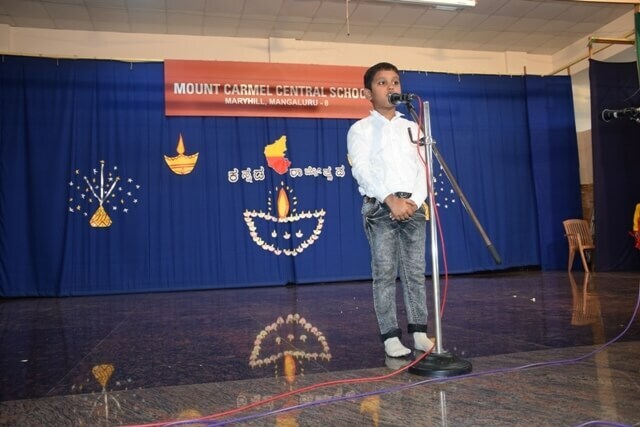 He wished everyone a very happy Diwali. 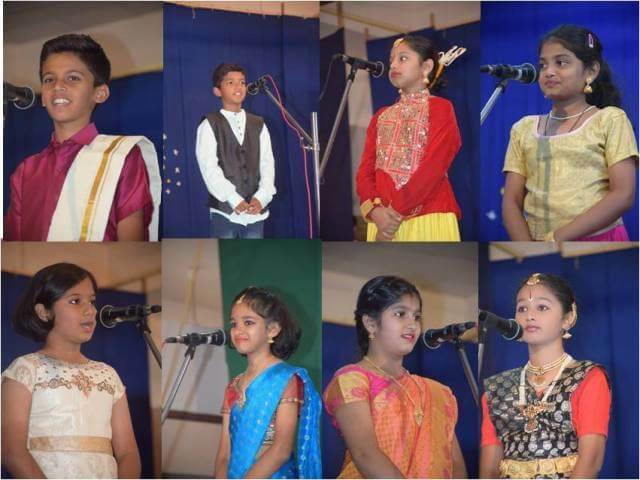 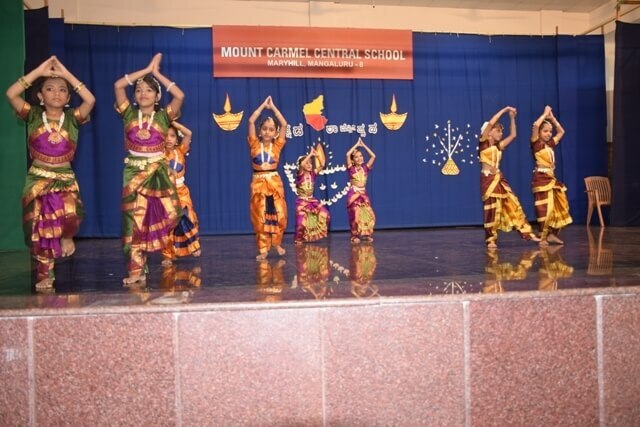 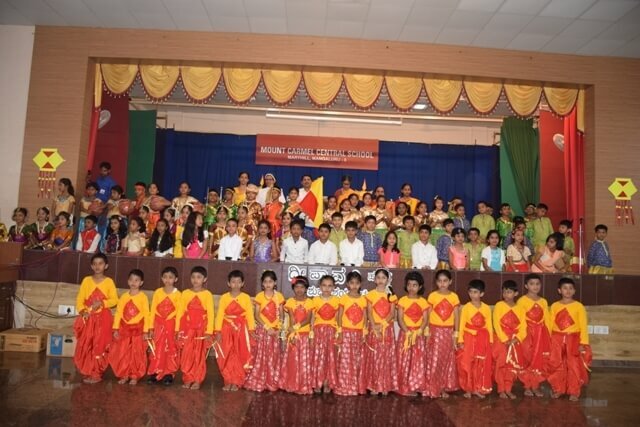 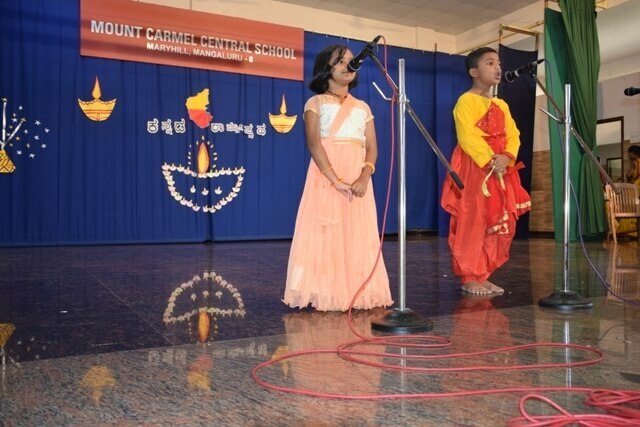 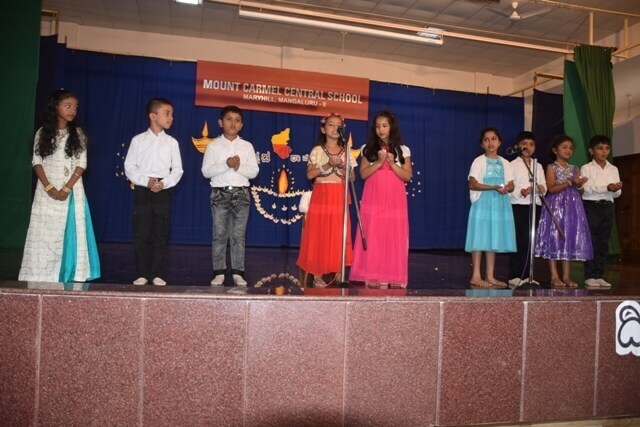 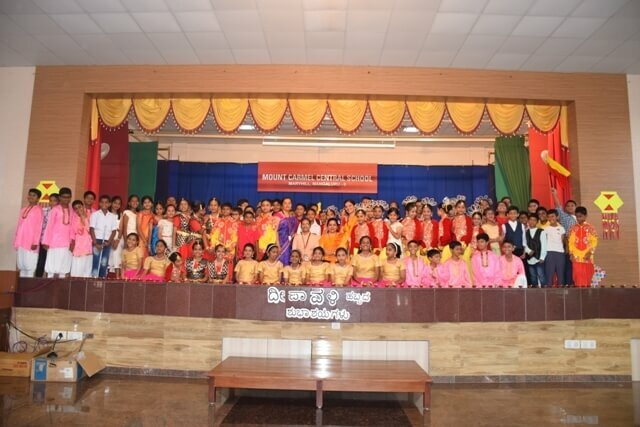 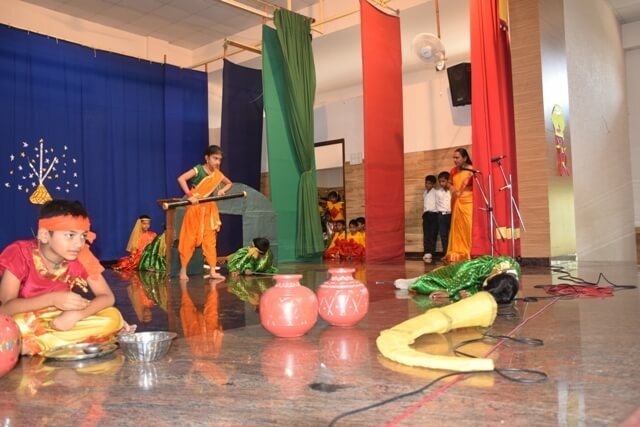 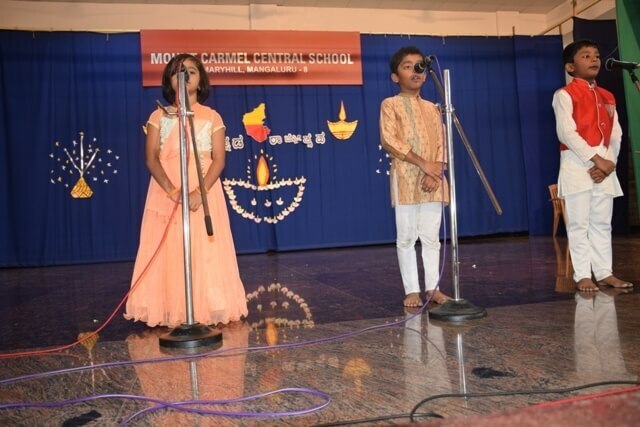 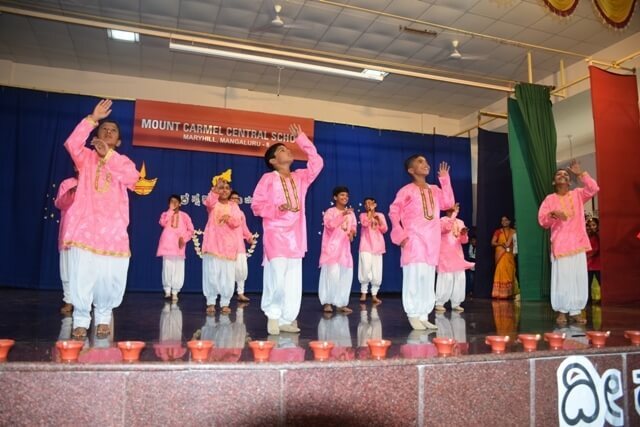 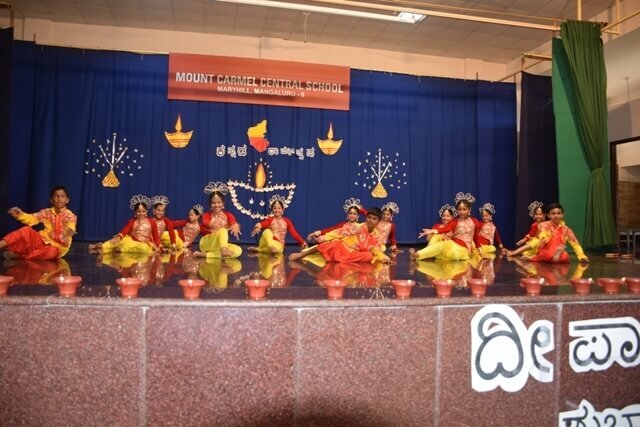 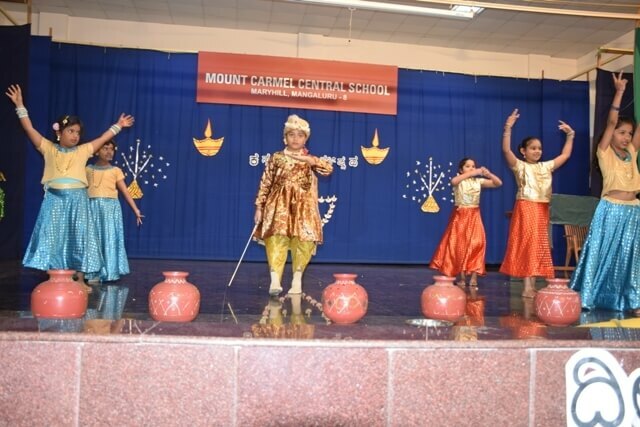 The students of Classes V C and V D beautifully depicted the culture of Karnataka through song, dance and drama. 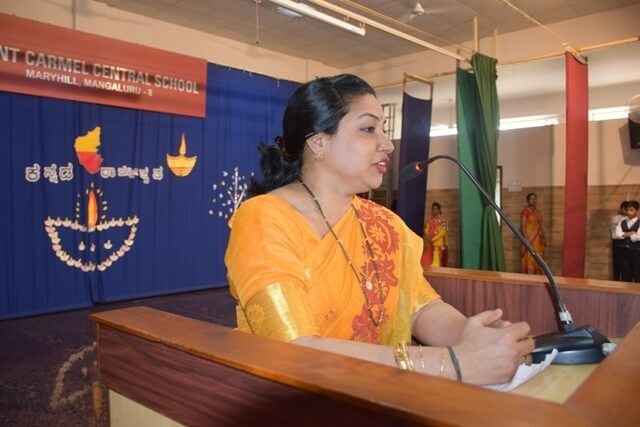 Mrs. Vidya Rai, our senior teacher was the chief guest for the programme, which began by invoking God’s blessings through a short prayer service and prayer dance. 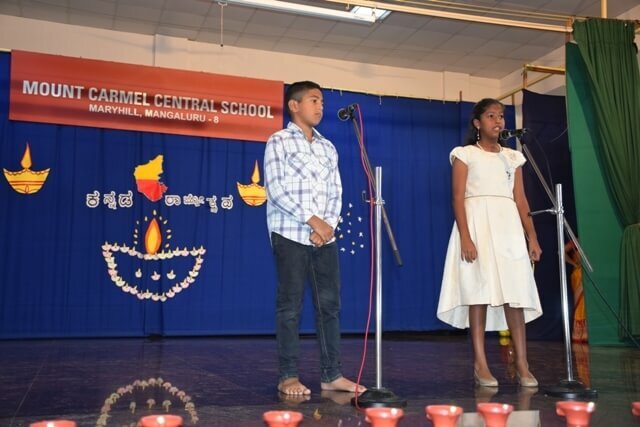 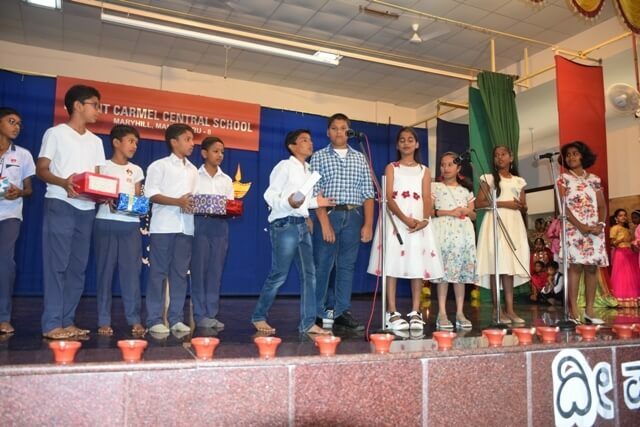 The significance of the day was presented creatively with PPT presentation followed by a play explaining the true meaning of Diwali and to celebrate it with a good cause of sharing with another. 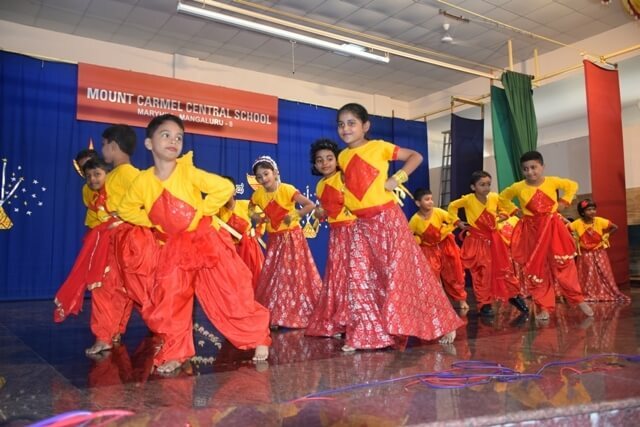 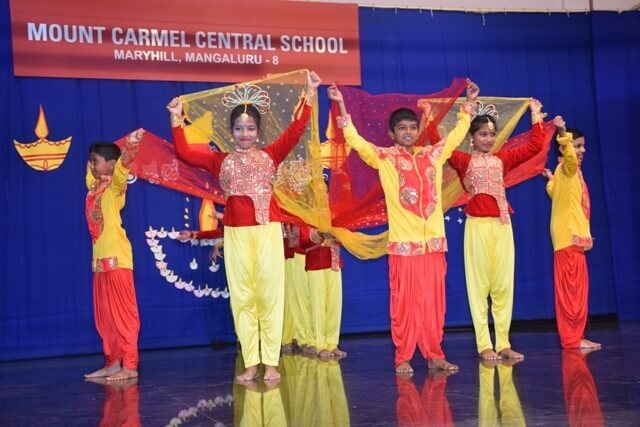 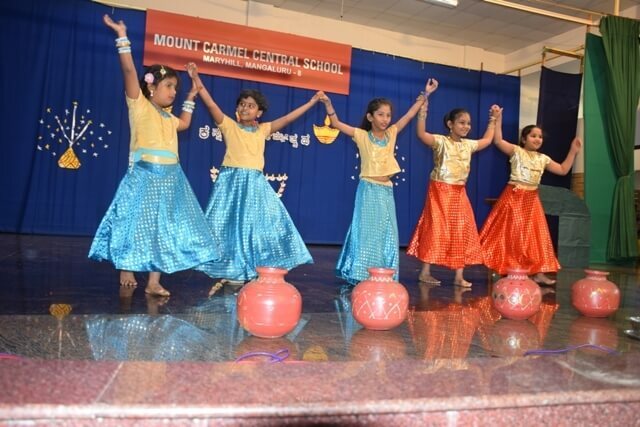 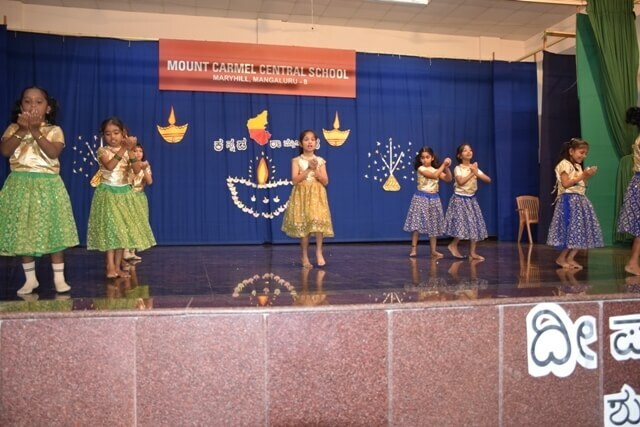 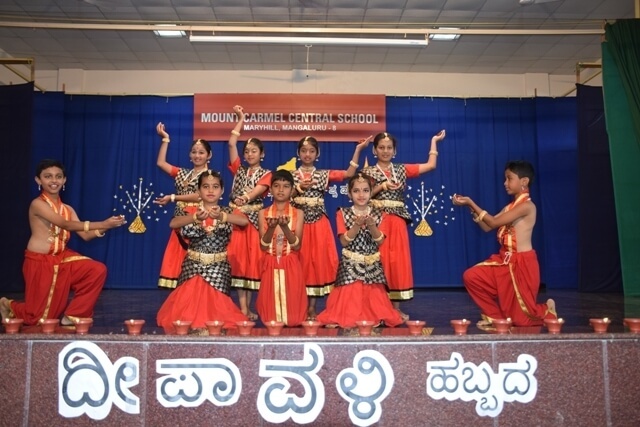 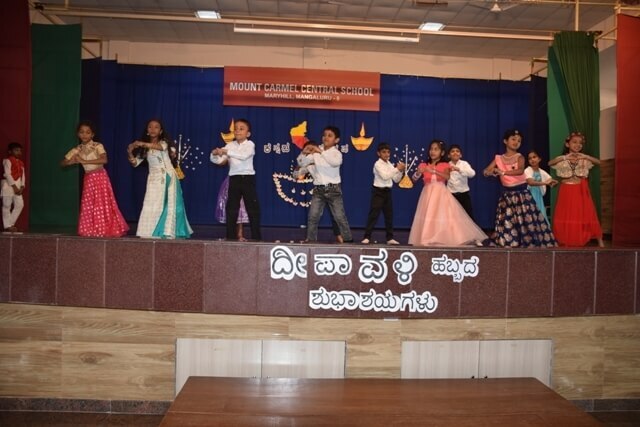 To make the celebration colourful and musical, the students danced to the rhythmic melody paying tribute to our Kannada Naadu, the culture of Karnataka through the Kolata dance. 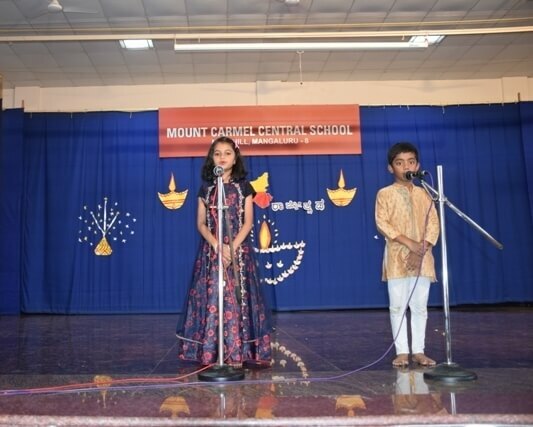 The chief guest Mrs. Vidya Rai in her message appreciated the performance of the students and encouraged everyone to have environmental friendly Diwali by avoiding of bursting of harmful crackers etc. 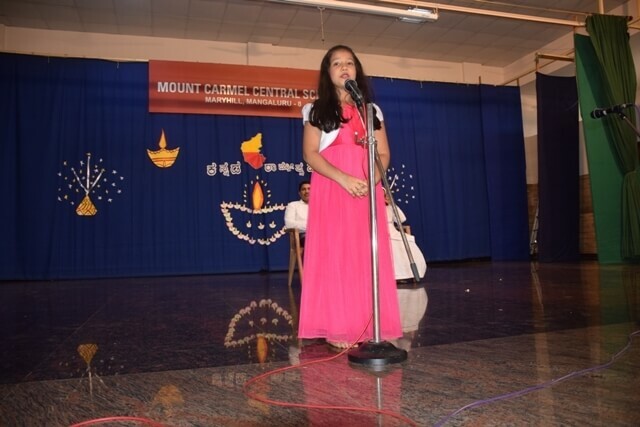 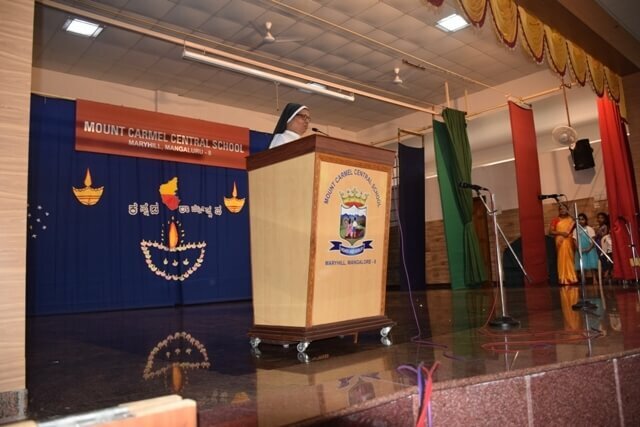 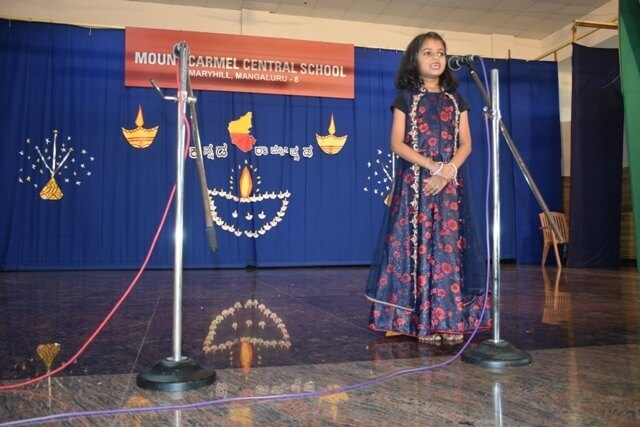 She also told the students to cultivate love and respect to Kannada Naadu and its language. 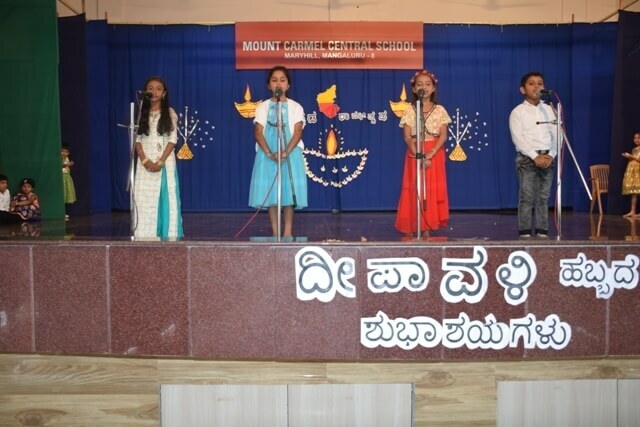 The celebration ended by singing Kannada Nada Geethe with love for our land, its culture and language.